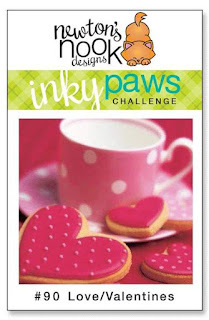 Just one more week for the current Inky Paws Challenge. Here is the current challenge. I love non-traditional colors for a holiday. I also love bold colors. 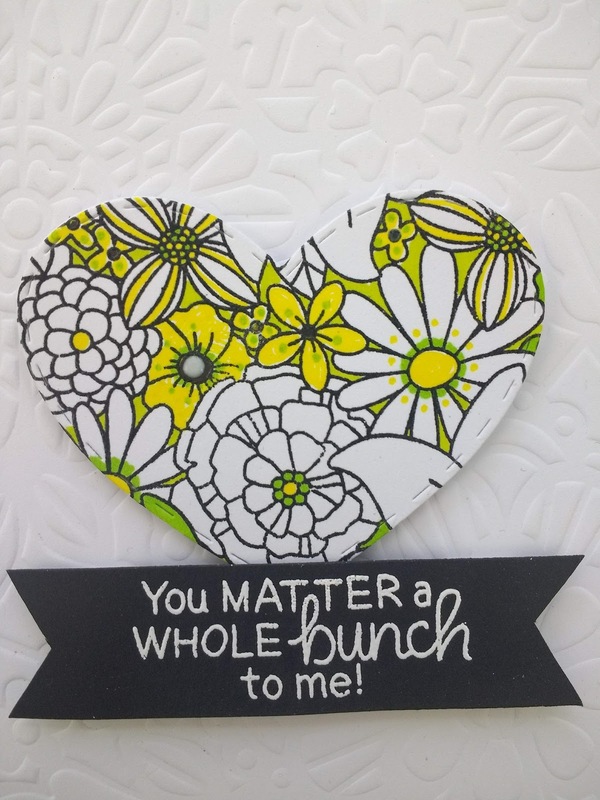 These two loves formed the idea for this card. using just three very bold Sharpie colors. 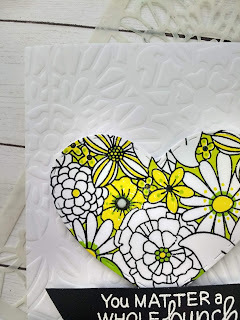 I die cut out my heart using the large heart from the DarlingHearts Die Set. To create the base for my card I used the FloralLace Stencil. along with my rubber embossing mat for my Cuttlebug. This created the perfect background texture for my heart and sentiment. 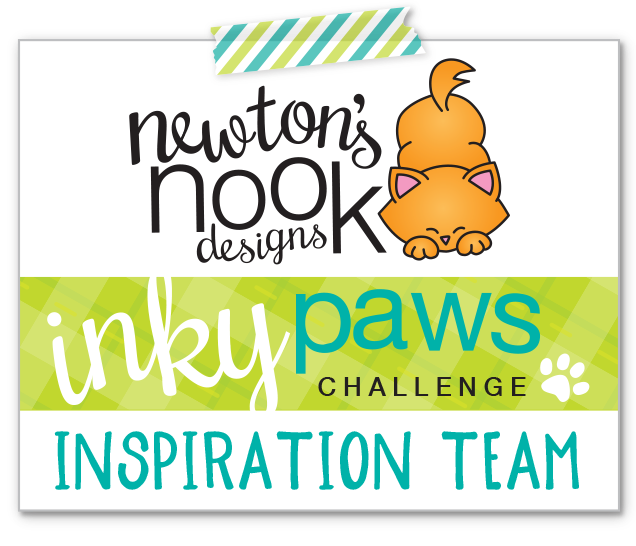 To show us how you get your Paws Inky! Great ideas here, Dianne! I have to try using a stencil to emboss. Also love your floral heart. Neat idea and the colors are great, too! Really cute! 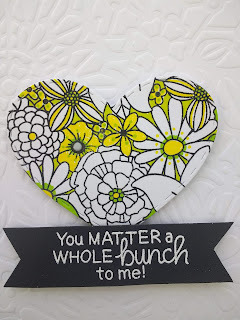 I love how you used the flowers inside the heart! What a great idea!